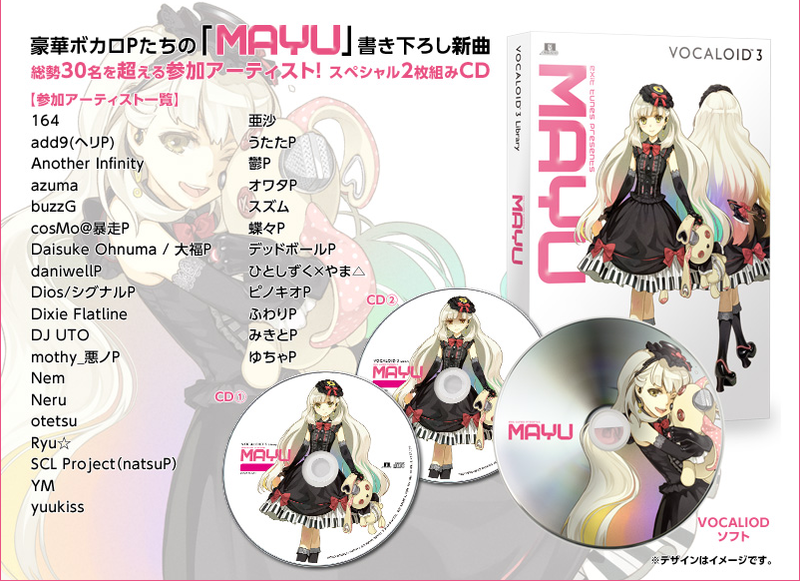 VocaParty: EXIT TUNES VOCALOID MAYU Release Date Confirmed! Vocaloid MAYU will be released this coming 5th of December! 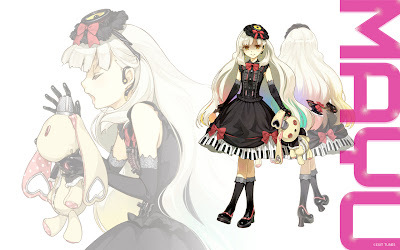 Labeled as the yandere VOCALOID, EXIT TUNES renewed MAYU's official website with the details of her release and an announcement of a special package which includes the voicebank + 2 CDs of various renowned VOCALOID producers' works, revolving around MAYU as the vocalist. The package details are as follows. As stated earlier, the package contains 2 CDs + MAYU's voicebank at a cost of ￥11,500. 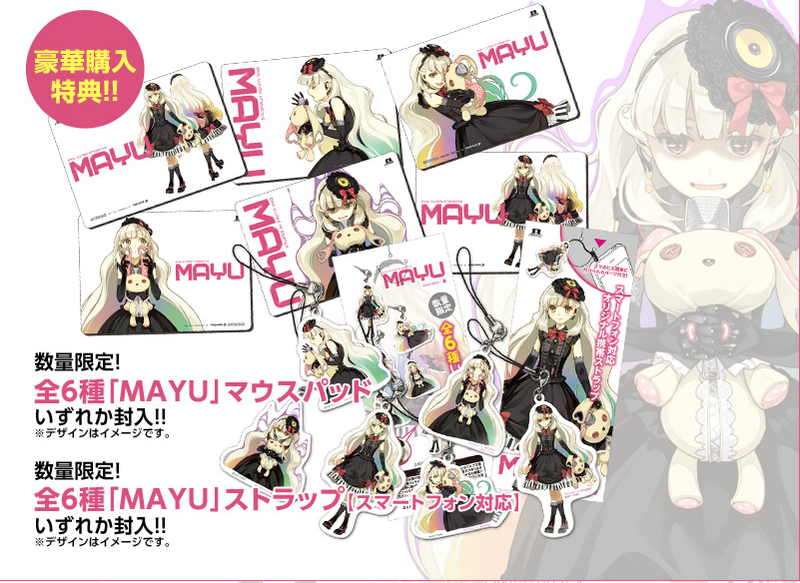 Not only that, the package also includes 6 types of limited MAYU mousepads and phonestraps.